After a full day of content at the Wine Tourism Conference on Thursday, November 14th, the Oregon Wine Board will be hosting a reception for all attendees featuring wines from from across Oregon. The reception is from 4:30-6:30 pm. The Oregon Wine Board runs www.oregonwine.org and is a semi-independent Oregon state agency that manages initiatives related to marketing, eduction, and research for the Oregon wine industry. The Oregon Wine Board works on behalf of all the state’s wineries and independent growers — an industry that contributes more than $2.7 billion in economic activity to the state economy each year. 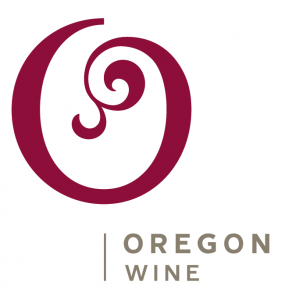 The website, www.oregonwine.org is a great portal for both industry and consumers to learn about Oregon wine, its regions, its people, and to find out about events, marketing initiatives, and industry-related news. The website also features a handy tasting room finder and an easy to understand visual grid listing all of Oregon’s AVAs. The site is extremely effective in communicating the various components that go into the Oregon wine industry without over simplifying or over complicating the information, so it is a very valuable tool for the very wide variety of consumers who may want to visit Oregon’s wineries and regions as tourists. The Oregon Wine Board has an active Social Media presence, and you’re invited to connect with them on Twitter, Facebook, Google +, and Pinterest. The Willamette Valley Wineries Association is supporting the Oregon Wine Board as a co-host for the reception. You are encouraged to visit their site and follow them on Facebook & Twitter.